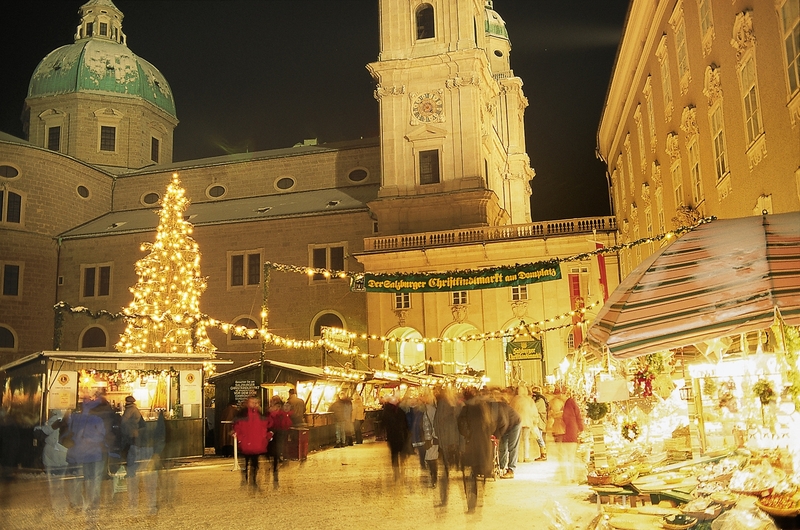 Salzburg is the town that always feels like Christmas. 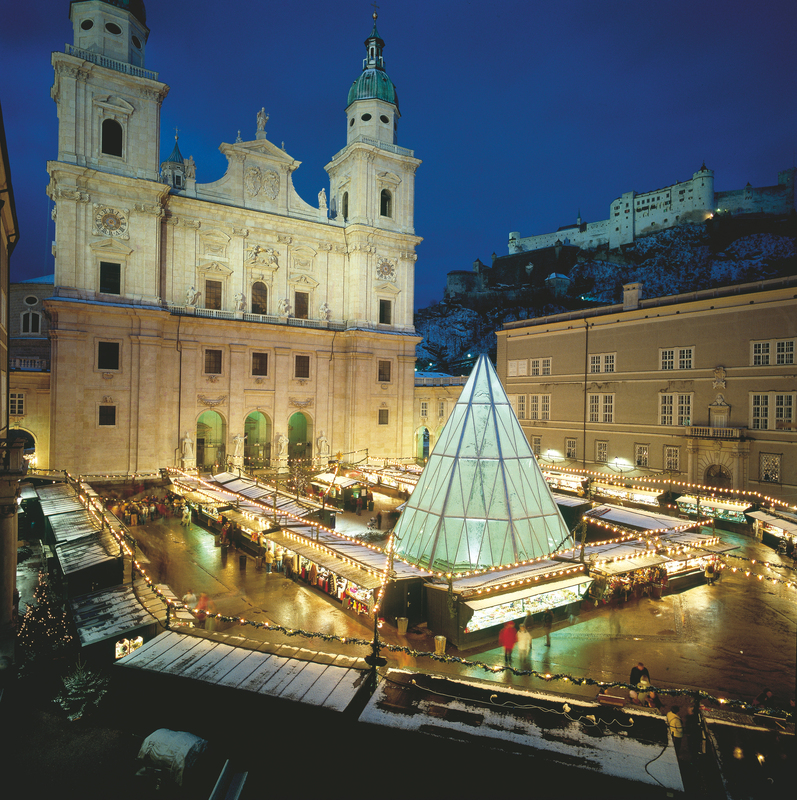 With its old town gathered under its formidable castle Salzburg celebrates the holidays with an Alpine elegance. Christmas shopping lanes delight browsers . Markets are busy as shoppers gather last minute holiday decorations. The Tyrolean celebrate the season in and old noisier fashion. 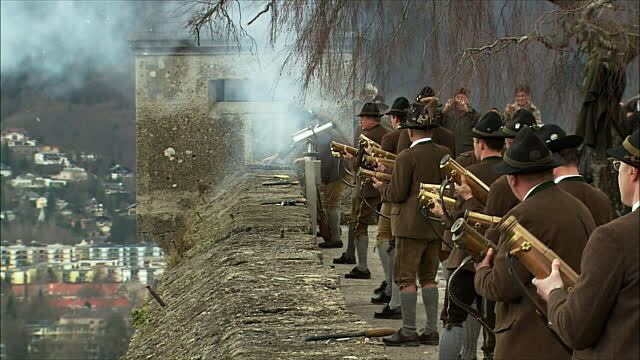 From the castle ramparts high above town traditional gunners fire away as they have since the days they really believed these shots would scare away evil spirits. 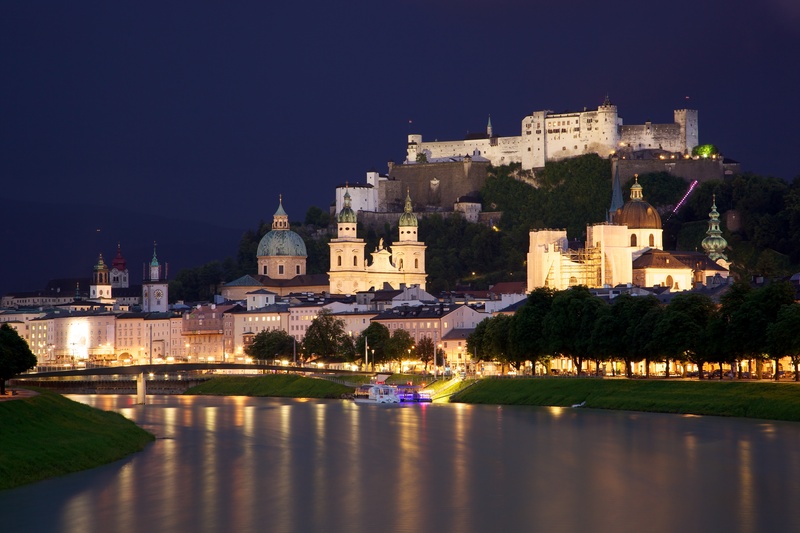 Salzburg- with its nickname the Rome of the north has a magnificent Cathedral inspired by Saint Peter’s at the Vatican. Locals here in the town of Mozart packed the place to mix worship with glorious music. According to legend local priest went out on Christmas night to bless out a newborn baby, and as he walked home in the snow he was so moves by the stillness at the Starlight holy night that he wrote a poem about it. Like just about anywhere a part of Christmas is baking cookies with Grandma.Austria has a unique ritual where the dad blesses the home followed by his daughter. 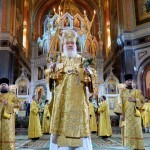 There prayer is for a happy and healthy new year. Another tradition typical for Austria is that Austrians fill a pair of shoes with chocolate, peanuts and clementines. 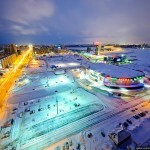 The Christmas tree is not decorated until Christmas Eve. 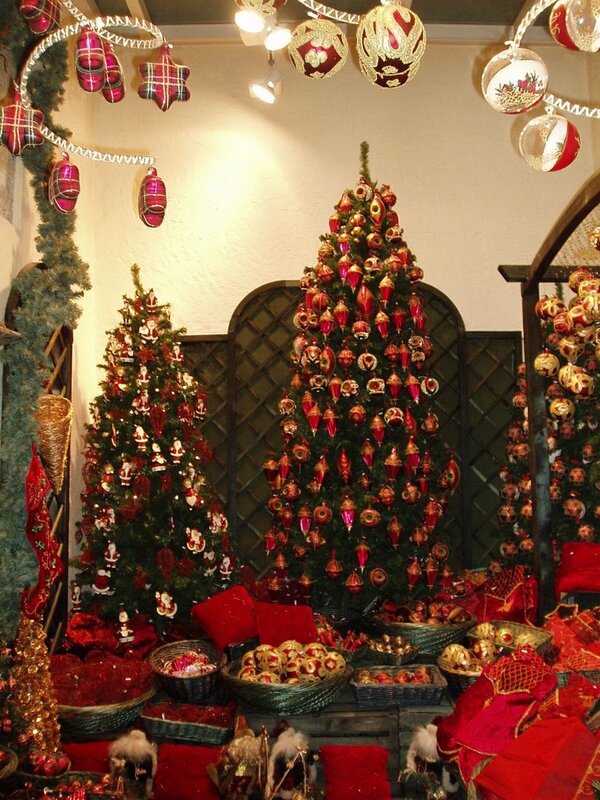 A bell is run by the parent and the children can enter the room and see the beautifully decorated tree. Every town in Austria will also have a large Christmas Tree in the town square. In homes, trees are decorated with gold and silver ornaments and stars made from straw. 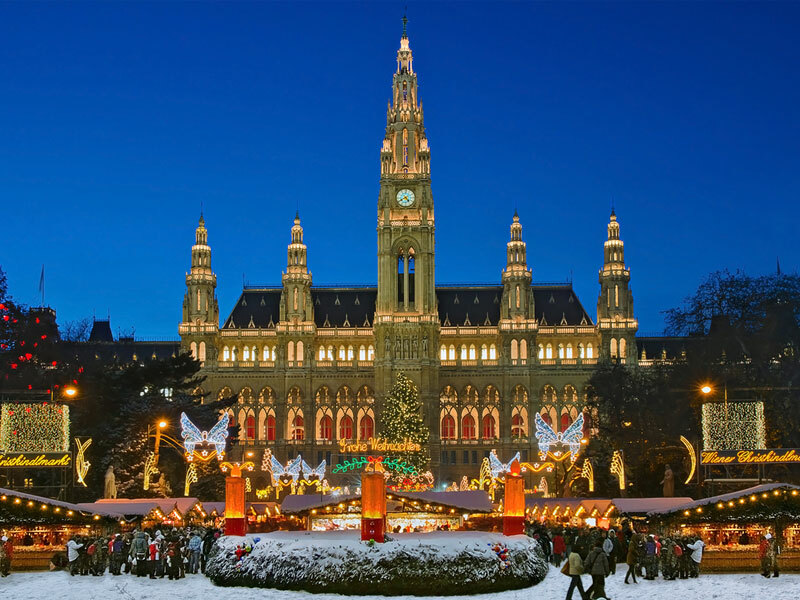 Every year, Austria’s capital city, Vienna, holds a world famous classical music concert ‘Neu Jahrs Konzert’ which takes place during the morning of New Year’s day. The best part of Christmas is sharing it with family. 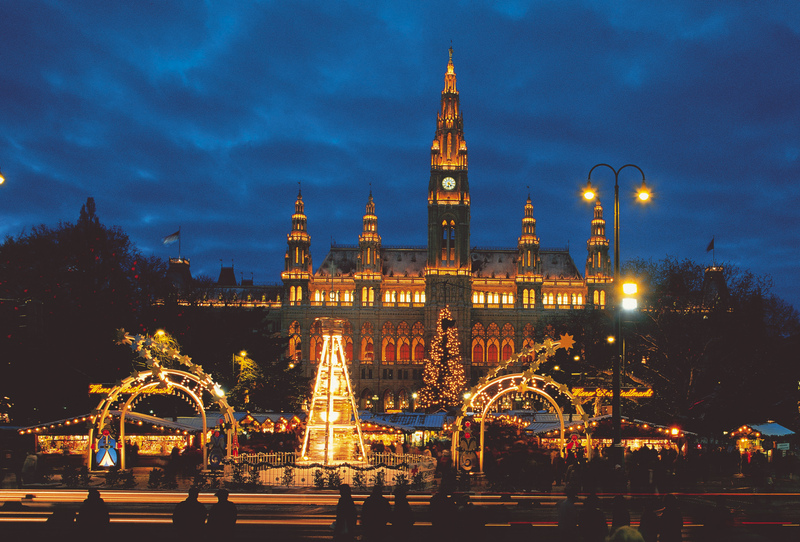 Austria is a fascinating country to visit at any time of the year. 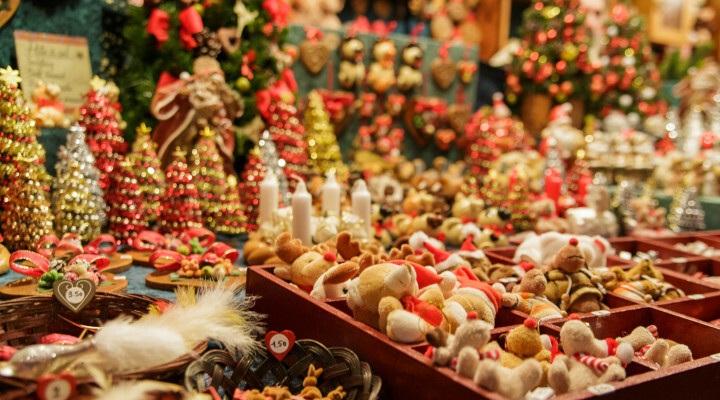 But the weeks from late November to the end of the year hold a special meaning and let you become familiar with some of the most beautiful aspects of the country: deeply-rooted folk traditions come alive in colorful, romantic events.